Vienna's magnificent palaces and Salzburg's musical tradition make them fascinating cities for a school trip or educational visit. Great examples of Baroque, Gothic and contemporary architecture are all there to be discovered. Countless classical composers and first class art collections have all contributed to the rich artistic heritage of these two cities including Salzburg's most famous son, Wolfgang Amadeus Mozart. 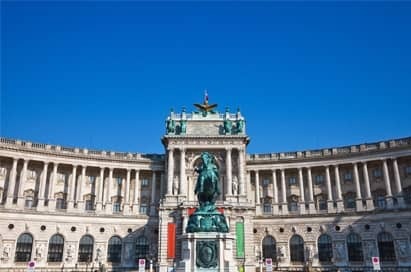 A great introduction to the city this tour will give you an overall impression of the most significant sights of Vienna including the MAK, the State Opera House, the Museum Quarter, the former Habsburg winter residence, the Hofburg, the Parliament, the City Hall and the Burgtheater. St. Stephen's Cathedral is the number one attraction in the city. You can also climb up St. Stephen's Cathedral (South Tower, Türmer Stube), take the li? up to the Pummerin (North Tower), or go down into the catacombs. The Prater is actually a park but the so called "Wurstelprater" is the oldest amusement park in the world. 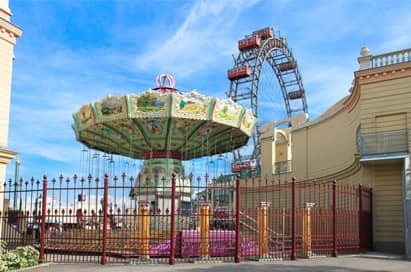 The Prater is home to the Ferris Wheel built in 1897 which is one of the city’s most famous landmarks as well as its latest addition the Praterturm which is the worlds highest flying swing built in 2010. You will also find bowling alleys, cinemas, cafés in this area of the city. Bratislava, the capital of Slovakia, is set along the Danube River by the border with Austria and Hungary. The pedestrian- only, 18th-century old town is known for its lively bars and cafes. Perched atop a hill, the reconstructed Bratislava Castle overlooks the old town and the Danube. Vienna is known around the world as the city on the Danube. 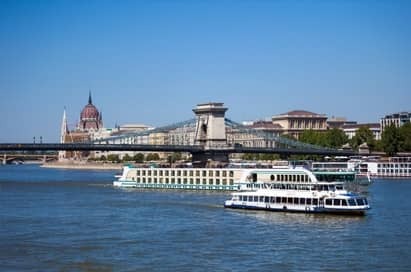 Boat cruises go round the 21km-long Danube Island, which was originally created as a flood defence passing the modern skyline of the city as well as “green Vienna”. Hop on hop off tickets are available. The Danube tower iss Austria's tallest building. Take the express elevator up to the observation platform - 150m above ground and enjoy the fantastic view over cosmopolitan Vienna.